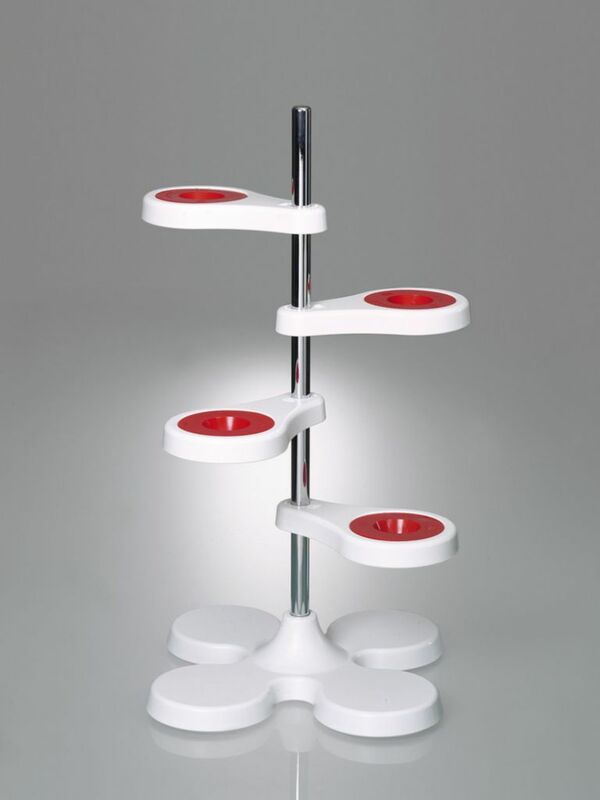 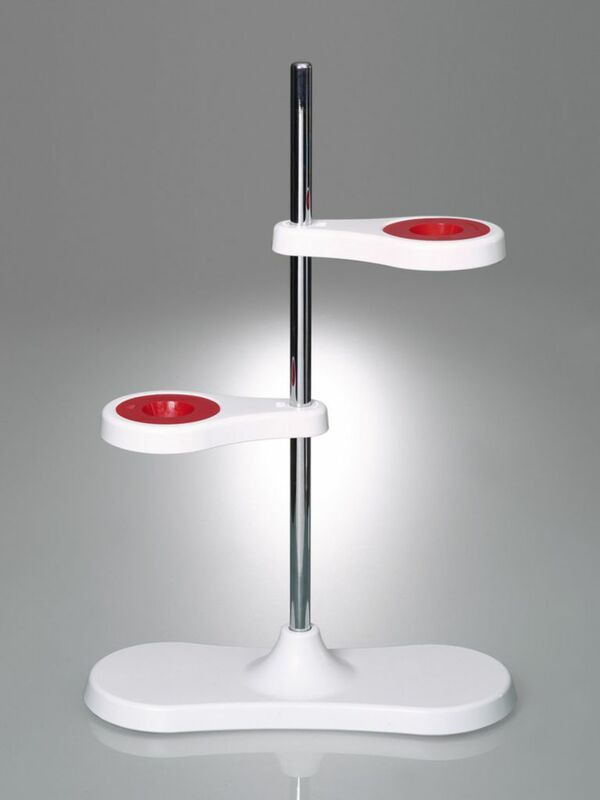 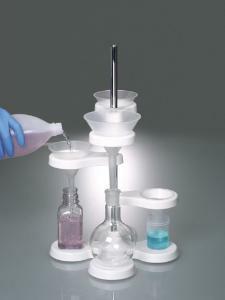 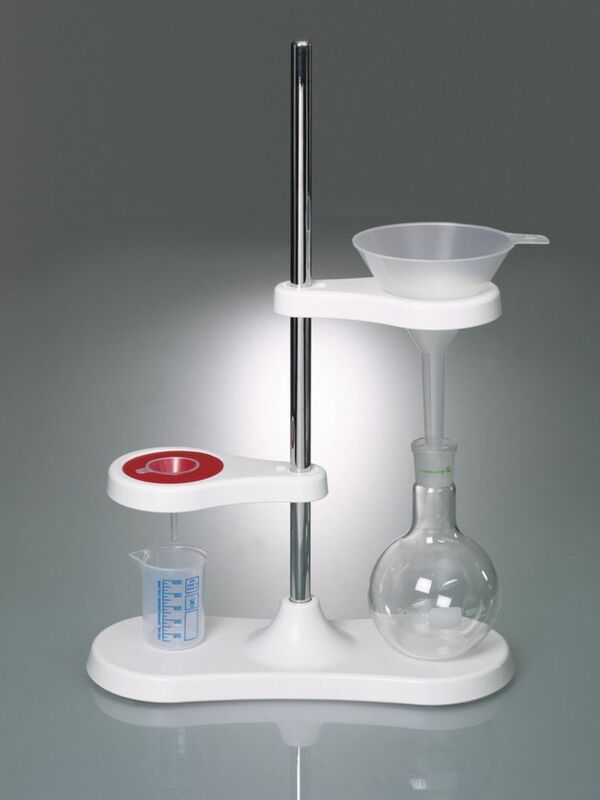 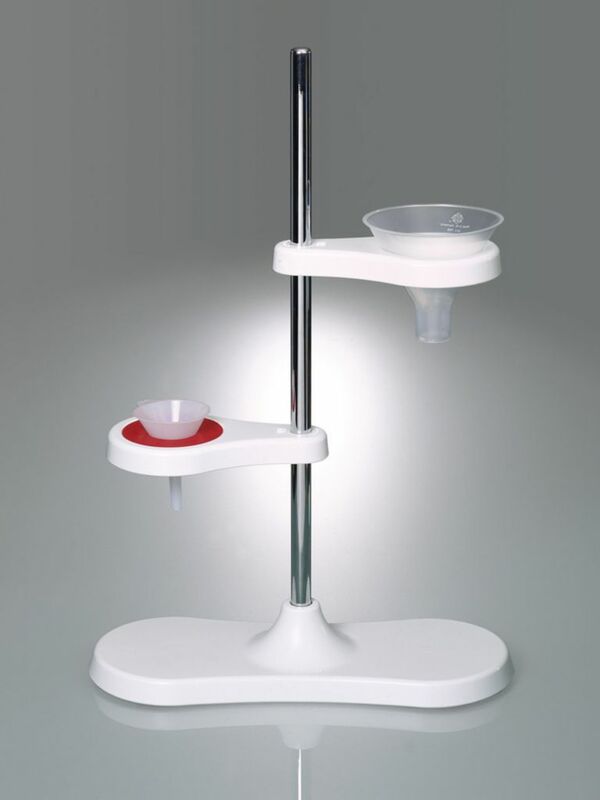 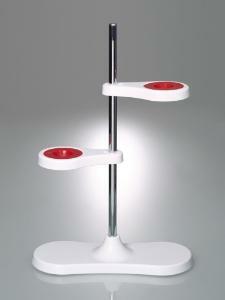 Sturdy and stable funnel stand, resistant to chemicals, shatter-proof and with continuously variable height adjustment. 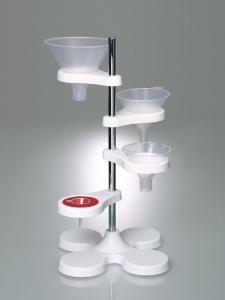 The funnel holders can be used with reducing inserts for small funnels. 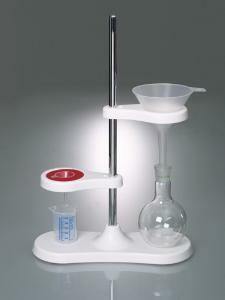 The funnel stand also makes an excellent filtering stand. 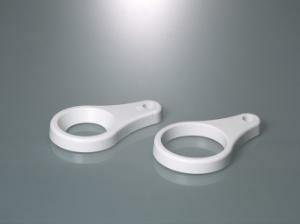 Innovative magnet concept, no clamping screws are necessary. 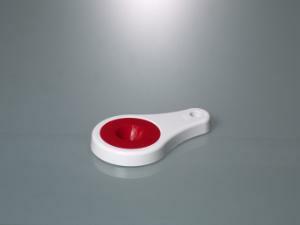 The height of the funnel holder can be adjusted easily and flexibly with one hand. 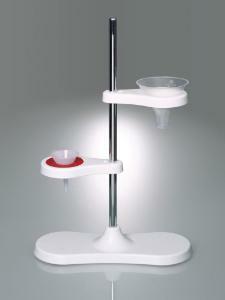 Packaging: One funnel stand per package.